I set my own hours. I get long weekends every week. I can turn down any project that doesn't interest me. I mean, for the most part, I do what I want to do, when I want to do it, and I get paid to essentially act like a bit of a brat. That's not to say managing a freelance writing career is always a walk in the park (though sometimes it literally is -- great place to brainstorm, seek inspiration, or even write). Being a freelance writer is hard work. You have to be creative on command. You have manage all the nitty gritty details of running a business. You have to motivate yourself because, really, who else is going to do it? That hard work and self-discipline still beats the alternative for most of us. It goes back to loving the work... or "the craft" or "the art" or whatever label makes you feel all warm and fuzzy inside. But it doesn't always start out that way. I've known writers over the years who looked at their work as sheer drudgery. Most of them aren't freelancing anymore. When you think about jumping into freelance writing, it's easy to get caught up in the "which niches pay the most?" mindset. 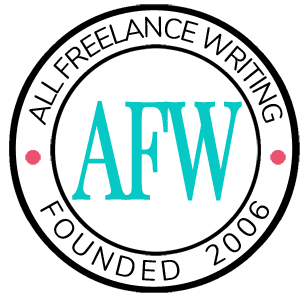 Every freelance writing niche will have high paying clients. And every specialty will also have its share of low-budget clients. The trick is remembering only the prospects who can afford you are truly in your target market. Forget about choosing a specialty solely for the money. You can find that anywhere. But what you won't always find is the drive to keep on going. That comes from genuinely caring about your work, or finding it interesting, or being passionate about it in some other way. That's when you'll stick with it, even through the hard times. That's when you'll wake up every morning excited to get to work. That's when you'll understand your clients and their needs (sometimes even before they do -- they'll think you're psychic, and it's totally fun to mess with them like that). Doing what you love for a living is awesome. I'm not sure there's anything more motivational. And that's the easy part of the equation because what you love is very likely something you're already good at, or knowledgeable about. So it makes sense to specialize in those areas. That said, things won't always be peachy. You'll still have to deal with things you don't enjoy when running any kind of business. You have to deal with people on a regular basis (not quite the introvert's safe haven some think writing is). You have to do admin paperwork and track financials. Eww. You have to stay on top of email and other communications. You have to market yourself to land new gigs (the ultimate evil to some writers). You have to do these things. They're not optional. So why not learn to love them as much as you love to write, or as much as you love your specialty? I used to despise most of this stuff. (OK. I still do in some cases.) But I found ways to love them, at least when I'm forced to work on them. And you can to. When you don't dread them, you'll do the work right, you'll do it faster, and you'll see better results in your freelance business. Let's look at an example from the previous list. There's no way around it. If you want to be a freelance writer, you're going to have to deal with administrative work. And it can be so boring. If there's any part of the job I despise, it's admin. My eyes glaze over. I look for anything under the sun to distract me. A favorite is to crank up some music and do housework (dishes, laundry, scrubbing some random thing... it doesn't matter). I dislike that even more. So that must mean it's productive and I shouldn't feel guilty about it, right? I came to realize my aversion to admin work was a result of it pulling me from other things. I'm at my most productive first thing in the morning. So I won't waste that time on admin. It would get relegated to the end of my day (as I'm getting a bit mentally drained and itching to quit for the day). Thing is, at the end of the day, I just didn't give a damn. I would happily shove paperwork in a desk drawer, then go outside to work in my gardens for a while, pick up a book, or take a nap. Out of sight, out of mind. I'm good with that! But as a result, I became a disorganized mess. That doesn't bother me honestly. Then I'll tear my office apart to find what I need (which means more housework after, and you know how I feel about that). Finally it dawned on me the real issue was the distraction. Admin was taking me away from what I wanted to do during my working hours (namely writing, and making money). Do admin only when I didn't have any other projects planned. Now, I'm not saying I put in extra time after hours. Instead, I turned to task batching. I gave admin work it's very own day (I wanted it to feel special). I work Monday - Thursday. So I made Thursday my admin day. Because it was at the end of my work week, if I pushed through admin work quickly, I could technically call it quits early for the week. A little extra motivation never hurt anyone after all. It gave me a bit of a buffer with other work. There was always some extra time after admin, so if I didn't get everything else finished up by Wednesday, I knew I'd have a bit of extra time at the end of the week. So instead of admin work being the cause of other things not getting done, it was now a solution to an occasionally-tight schedule. If I wanted to take a long weekend -- a really long weekend given that I'm already off every Friday anyway -- I didn't have to worry about rescheduling client projects or calls. It left me freer to take that extra time off on a whim whenever I wanted to (and I do like being able to satisfy my random whims). What was once the problem child of my work week is now something I love (well like... or "happily tolerate"... close enough). It makes my life easier. It gives me more freedom rather than taking it away. By not interrupting my work flow on other days, I get more done in less time -- my mind isn't bouncing from one type of work to another as often. And all of that means it's something I no longer dread, avoid, or neglect -- all important if I don't want to royally screw up my career. You can learn to love the parts of freelancing you don't care for too. Or at least you can find ways to make them more bearable (and dare I say "fun"). Being forced to do things really don't want to do isn't a great way to spend your time in business. It can sour your entire outlook towards your work. You're the boss. So if you don't like something, change it. But if you really want to stay motivated with the day-to-day, make sure you also look for ways to love all those other little things you have to do. Pick and choose marketing tactics. Turn dull aspects of work into a game if it helps. And if all else fails, outsource it. Now tell me... what is your least favorite part of running a freelance writing business, and how do you try to make it more bearable (or even enjoyable)? My least favorite part of freelancing is definitely reconciling transactions in my accounting software. Quickbooks drove me insane! Once I switched to a new software things got much better. To make it bearable I try to reconcile transactions on my phone when I have a few spare minutes here and there. It’s much better than having to reconcile a ton of transactions at the end of the week or (even worse) month. You’re so right about what happens when you just take gigs for the money. It’s a recipe for burnout. 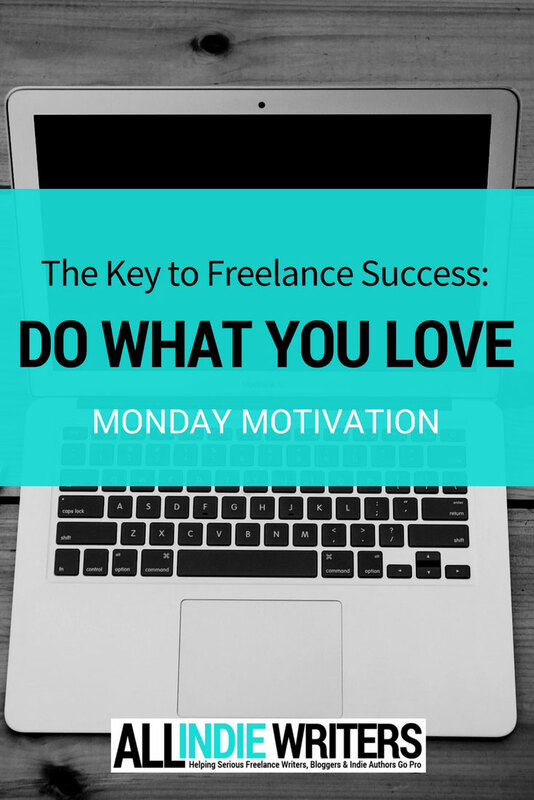 If you don’t love what you’re doing (or at least why you’re doing it) you won’t last long – great post! If you don’t mind me asking, which software did you switch to that you prefer over Quickbooks? And that’s so true. We don’t have to love every part of the job, or every single gig for that matter. But loving what you do when it comes to the bigger picture can be the difference between success and failure. Work is often the only reason I drag myself out of bed in the morning. I want to see progress.